UPDATE: Conyers makes it official with a letter to House leadership. Conyers, 88 years old and the longest-serving member, is leaving Congress amid a growing number of sexual allegations against him. He paid a $27,000 settlement to one woman in 2015, although he says that was not evidence of his guilt, but just to avoid a court battle. 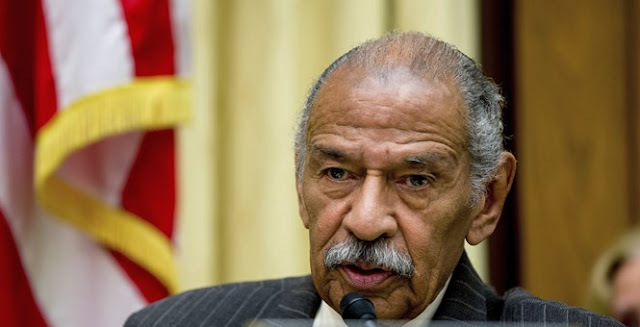 His female accusers have claimed that Conyers had a tendency to engage in inappropriate behavior, such as coming to work half dressed. Former staffer Deanna Maher described to Fox News how the congressman made the office a "toxic sexually suggestive environment" and had a negative influence on other males in the office. The latest accuser came forward this week claiming that Conyers once groped her in church. For awhile, only one Democrat, Rep. Kathleen Rice (D-NY), demanded Conyers resign. He settled for resigning his post as ranking member from the House Judiciary Committee. The representative did not admit to any charges in his Tuesday radio interview. Instead, he said he is retiring for health reasons. Last week, he was hospitalized for a stress-related illness. He was adamant that these allegations would not tarnish his legacy. "My legacy can't be compromised or diminished in any way by what we're going through now," Conyers said. "This too shall pass." House Minority Leader Nancy Pelosi had called for Conyers to resign last week, after calling him an "icon." Conyers's retirement is effective today.